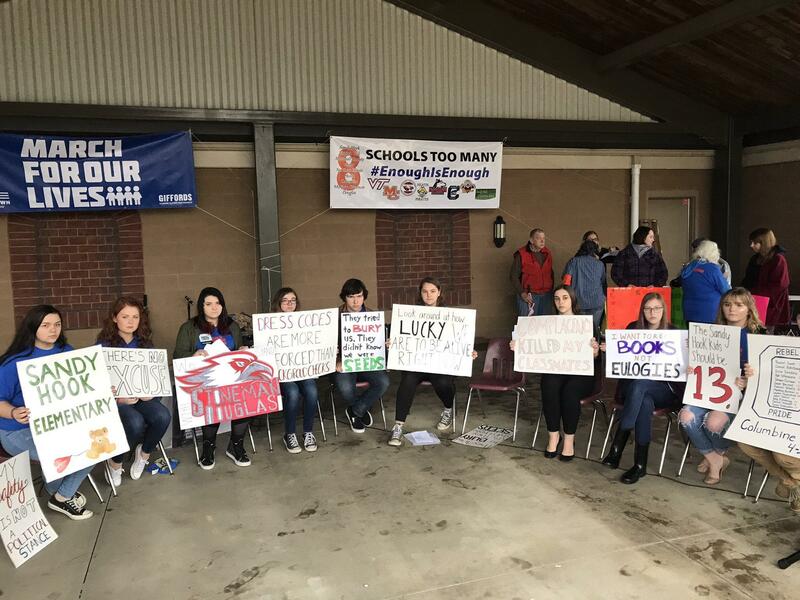 Student organizers at Marshall County March for Our Lives this past spring. Many of the same students are organizing the protest against NRA President Oliver North's August 3 apperance in Murray. 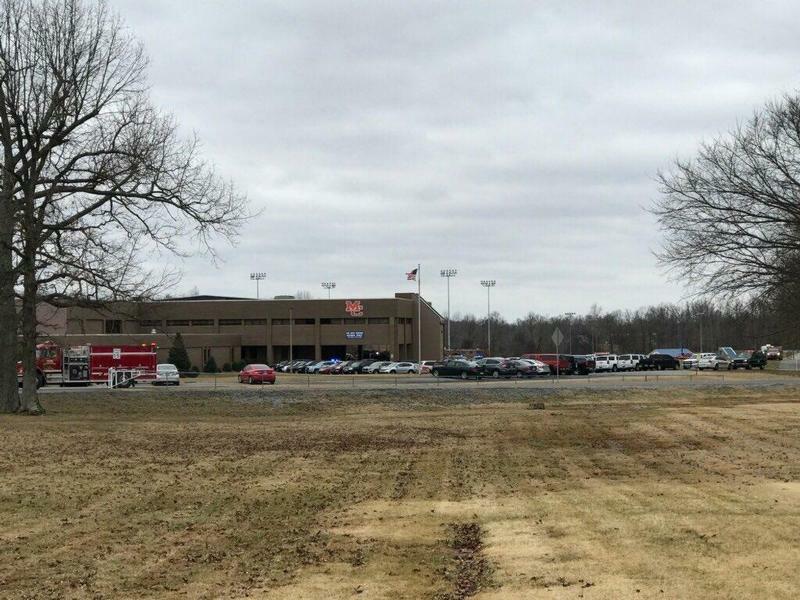 The group planning to protest the appearance of the National Rifle Association President at a Republican rally on Friday at Murray State University will hold a silent vigil for shooting victims. Protest organizers said in a release the vigil will honor the victims of the January Marshall County High School shooting. NRA president Oliver North is the featured speaker at the Friday rally hosted by the Calloway and Marshall County Republican parties. Protestors have called North’s upcoming visit “insensitive” and have invited gun violence survivors and gun control groups to join in their demonstration. North was named NRA president in May and is infamous for his involvement in the Iran-Contra scandal. Organizers said Shaundelle Brooks, the mother of Nashville-area Waffle House shooting victim Akilah Dasilva, will be at the protest. Brooks said in the release she wants to “bring words of comfort” to Marshall County shooting survivors. Several others are joining the protest, including a survivor of the 1997 Heath High School Shooting in McCracken County, Veterans for Peace, CODEPINK, No Rifle Association or '#NoRA', a new group announced on the 19th anniversary of the Columbine shooting, Survivors Lead, Women Against the Violence Epidemic or 'WAVE', Black Lives Matter Louisville, Survivors Empowered, Newtown Action Alliance and The Newtown Foundation. Murray State University is closing early on Friday to accommodate the increased number of visitors to campus. 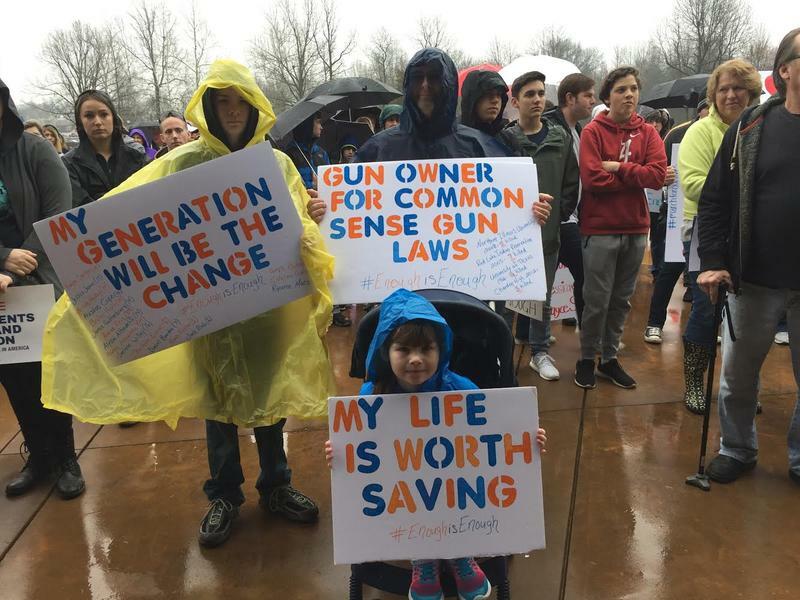 Organizers of the 'March For Our Lives' rally in Marshall County last spring plan to demonstrate outside of a local Republican rally in August featuring the president of the National Rifle Association. A Marshall County High School teacher is speaking out against a Republican political rally in the region this summer featuring National Rifle Association President Oliver North.